While the theory books have been expanded to the Elementary levels, no exams are required at Preparatory and up to Level 4 to earn a practical certificate. 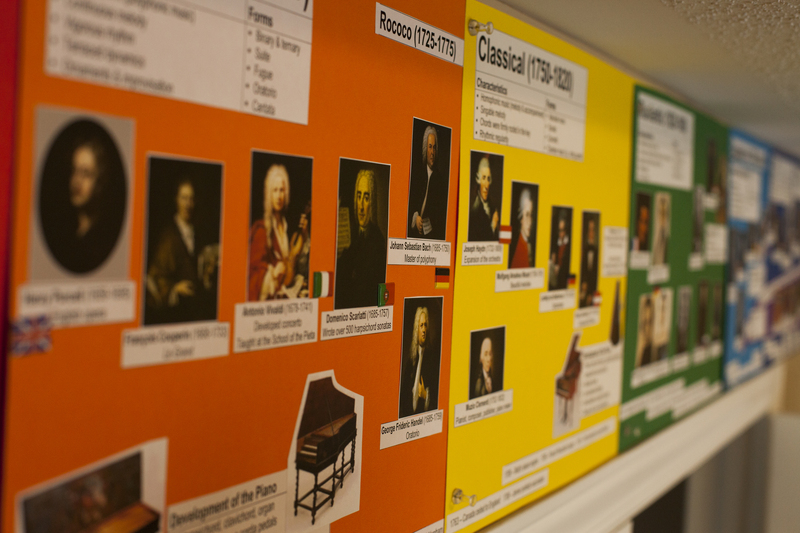 Elementary and Intermediate levels now include guided listening in music history/appreciation. Elementary and Intermediate levels include melody writing to inspire creativity. Advanced harmony levels have the important concept of counterpoint woven throughout. Level 9 Harmony [formerly Basic Harmony] is now a required exam, in order to build a strong foundation. I’ve seen a package of sample exams in the new format, and in December 2016 the new textbooks for Levels 9-ARCT harmony and history will be released. RCM allows a crossover period this year while we get up to speed on the new requirements. As before, co-requisite theory exams must be completed before or within five years after the original practical examination date. When you attend a classical concert you are often given a booklet that lists the order of performance that evening, as well as some notes on the composers, pieces, and performers. My students’ ages range from 5 years old to adult. Some of the works they play were written by composers born in the 1600s. I think that understanding the context of a piece written over 400 years ago is important to be able to perform it well. Sometimes we really have to sleuth to find out details about the composer. Other times we find out the composer is alive and well and living right here in Ottawa.